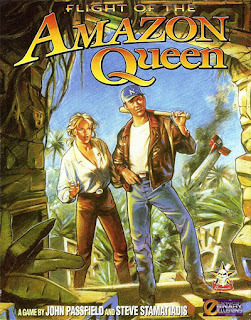 Flight of the Amazon Queen was an adventure game influenced by Monkey Island and Indiana Jones. It starred Joe King, pilot for hire, who uncovers a diabolical plot when his plane crash lands in the Amazon jungle. The game was released for free by the creators, John Passfield and Steve Stamatiadis, and is available at the ScummVM site. 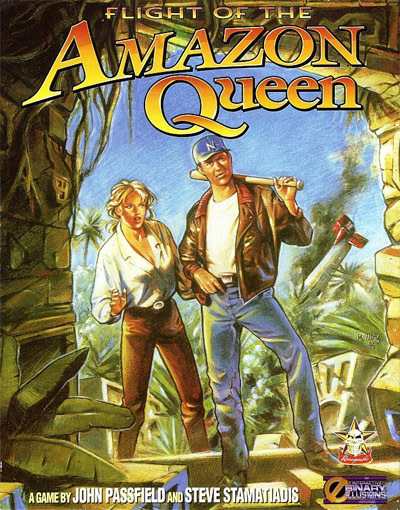 Flight of the Amazon Queen is now supported by ScummVM, a program designed to let 2D adventure games run on multiple platforms. With ScummVM, Flight of the Amazon Queen now runs on modern versions of windows, as well as Linux, Mac OS X, and many consoles such as Dreamcast, Wii, PlayStation 2, and PlayStation Portable. For a complete list of platforms supported by ScummVM, see here.